He took the rifle out to the Zombie shoot a few weeks back. This week will be for Top Ten favorites of the Gears of Guns crew. It will be broken up into 4 categories: Rifles, Pistols, Bullet calibers and “other”. if you have a gun you think we didn’t consider please feel free to share it with us. The AR-15 is at the top of our list because it is for lack of better wording the ”Barbie” for men. This weapon system is highly customizable to fit the users wants and needs. PRO: The weapon system can be changed to fit the shooter, everything from the caliber to the barrel length, to trigger group, letting the shooter find the perfect combination to fit them. CON: Possible malfunctions due to semi-auto action gas system causing them to break. Most of the cons we have for this weapon stems from size of caliber or internal firing mechanisms from different manufacturers. The Remington Model 700 is number 2 on our list because of it reliability. The weapon has been used by both hunters and snipers. The weapon has been battle proven for years as the M24 Sniper rifle and is an all around a good rifle. PRO: Multiple calibers and styles to fit the gun to the shooter, the weapon has high accuracy and is designed to last. CON: Being a bolt action rifle the shooter may have to take their eye off the target to chamber the next round or to reload the 5 round flush magazine. The M110 is based off of the AR-10 and is a Semi Auto Sniper System (SASS). The rifle fires the .308/7.62NATO cartridge which has an effective range of 800 Meters. PRO: The weapon is semi-auto letting the shooter acquire the target and keep an eye on the target after they fire the weapon. CON: The .308win does not have the range that some of the newer sniper rifles rounds have, such the .338 Lapua or The .408 Chey-Tac and .50 BMG. CON: Same as the Remington 700 in that it is a bolt action. The FN P90 is a killer punch in a tiny package. PRO: the weapon platform is small allowing for close quarters combat while still carrying upwards of 50 rounds. CON: If you have a con for this weapon please share it with us. The M14 is another time proven weapon. This weapon as been in service since 1957 and is still being made. the M14 fires the 7.62NATO round allowing for the weapon to go from medium range out to long range sniping. PRO: Semi-auto fire, 7.62NATO round, 800 Meters effective range. Heckler-Koch G36 like the AR-platform lets the shooter customize the weapon to fit how the weapon will be used. CON: The weapon only fires the 5.56NATO round which is a small projectile and does not have the stopping power that a .30 caliber projectile has. FN Herstal SCAR-H MK.17 is similar to the AR. FN makes a few different versions of the SCAR but the SCAR-H is chambered in the .308/7.62NATO round which has the stopping power and range to take down targets at various ranges. The AK-47 has been used by militaries the world over. 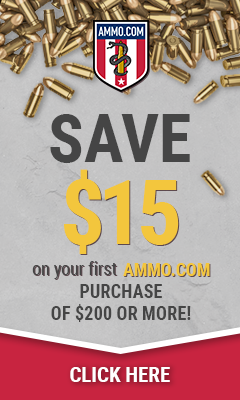 The round is cheap and easy to find and has a better stopping power than the 5.56NATO. CON: the weapon is not as accurate as an AR-15 or other similar weapons. We couldn’t talk rifles without talking about this .22 LR. this is one of the most well known .22s other there. it has been designed to do one thing and do it well and that is shoot .22s all day long. PRO: cheap. 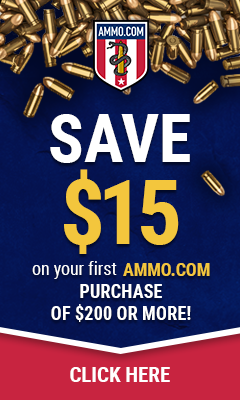 fun to shoot, easy to find ammo and companies make lots of different stocks to let the user have many different looking guns from a G36 to an AR-15 to double barreled “machine” gun. Colt has a new rifle that they are releasing onto the civilian market in August 2011. The Colt SP901 is an ambidextrous, multicaliber weapon fires the 7.62NATO rounds and with a simple change to a standard AR-15 mil-spec upper can fire the 5.56NATO round. the rifle has a free-floating barrel to help keep high accuracy. The SP901 essentially the civilian version of the Armed forces Colt defense CM901 with the same features, minus the automatic fire capability. While the CM901 can operate using a piston, gas-impingement system or hybrid of the two, the SP901 will come with a direct gas system. I unfortunately have been sick the past week and this is causing some problems with my keep up with the site and writing full informative posts but I am hopefully going to start feeling a bit better tomorrow and have a real post written for you. Yesterday we reached our 100th post which I am very proud of but I was unable to write the planned posting for that day so we will celebrate tomorrow.